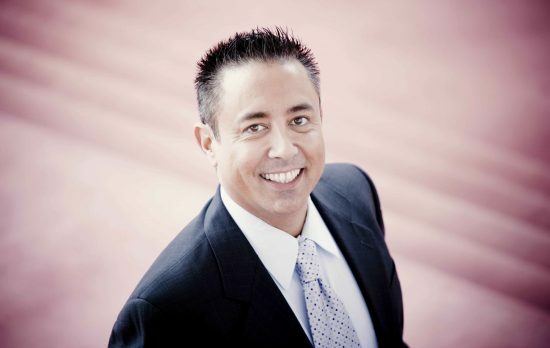 Brian Asawa, a celebrated countertenor and non-degreed USC alumnus, died on April 18 after a long illness. He was 49. Asawa’s international career was studded with “firsts” — he was the first countertenor to be named Grand Prize winner of the Metropolitan Opera National Council Auditions, win Seattle Opera’s Artist of the Year Award, earn the Adler Fellowship at the San Francisco Opera, and win the top prize of Plácido Domingo’s Operalia International Vocal Competition. Born in Fullerton on Oct. 1, 1966, Asawa was the son of George Asawa, a chemist, and Fusako Asawa (nee Yoshida), who ran a hair salon. One of his aunts was noted San Francisco sculptor Ruth Asawa, who died in 2013. He was a piano major at UC Santa Cruz, where he sang tenor in the university chorus, and studied voice at UCLA, where he studied under Virginia Fox and Kari Windingstad, before beginning a master’s degree at USC Thornton under James Tyler, founding director of the Early Music program, in 1989. “While at USC, Asawa was a star performer in the Early Music Ensemble, impressing audiences with arias showcasing both his fiery coloratura and his more expressive vocal colors, as well as with baroque-style rhetorical gestures learned during coaching with visiting scholar Dene Barnett,” said Thornton professor Bruce Brown. Over a career spanning more than two decades, Asawa sang in most major opera houses worldwide, including de Nederlandse Opera, Opera National de Paris (Garnier), Teatro Real (Madrid), Barcelona Opera, Staatsoper Unter den Linden (Berlin), Hamburgische Staatsoper, Munchner Bayerische Staatsoper, Opera de Lyon, Opera de Montpellier, The Spoleto Festival, Houston Grand Opera, Santa Fe Opera, Opera di Roma, Teatro di San Carlo (Napoli), Florida Grand Opera, Teatro Colon (Buenos Aires), Dallas Opera, San Diego Opera, New Israeli Opera, Los Angeles Opera, Cologne Opera, and Opera de Geneve. On the concert platform he performed with Seattle Symphony, Minnesota Orchestra, Boston’s Haydn and Handel Festival, Washington Chorale (D.C.), National Symphony (D.C), London Symphony Orchestra, Alberta Early Music Festival, Philadelphia Orchestra, Vail Valley Music Festival, Concertgebouw (Amsterdam), Kitchener Waterloo Symphony, Lincoln Center (NYC), Vienna Musikverein, BBC Symphony Orchestra, and the Collegiate Chorale of New York (Skirball Center). Asawa recorded Baroque arias and cantatas with mezzo-soprano Diana Tash, Baroque cellist Frederic Rosselet, and harpsichordist Arthur Omura. He made his Hawaii Opera Theater debut as Orlofsky in Strauss’ “Die Fledermaus,” signifying the first time in history that a countertenor performed on the stage of HOT. He also made his L.A. Phil debut in Peter Oetvos’ “Angels in America,” which was well received. He was slated to make a duo-recital tour with Tash and to premiere a new song cycle by composer Juliana Hall. That cycle, based on the texts of William Shakespeare, is now dedicated to Asawa in honor of his celebrated career. Asawa recorded five solo discs: “The Dark Is My Delight” (lute songs with David Tayler by Dowland, Campion, and others), “Vocalise” (arias and songs by Medtner, Faure, Rachmaninov, and Villa-Lobos), “Cantatas” by Alessandro Scarlatti with Nicholas McGegan, and two song cycles by Ned Rorem with the L.A. Chamber Orchestra. He was featured on video as Baba the Turk in Stravinsky’s “The Rake’s Progress” with Swedish Television One, Fyodor in Mussorgsky’s “Boris Gudonov” (Willy Decker production) and l’Umana Fragilita and Anfinomo in Monteverdi’s “Il Ritorno d’Ulisse in Patria” (Pierre Audi production), both with de Nederlandse Opera. Asawa established Asawa and Associates, an opera and classical artists agency based in Los Angeles. The agency’s description reads, in part: “Asawa and Associates is dedicated to making a complete difference in bridging together performing arts organizations and singers in a unique and innovative way. With 24 years of experience performing at the most prominent opera houses, concert halls, and recital venues of the world, Brian Asawa, internationally renowned operatic countertenor, has directly witnessed at a global scale the evolution of the performing art industry and understands theaters but also artists’ needs. Asawa also taught voice privately in the Hollywood Hills, and gave masterclasses and spoke publicly about the business aspect of classical music and opera. To honor Asawa’s legacy, the Merola Opera Program (in which he participated in 1991) has established a fund in his name to support future opera artists. To donate, visit http://merola.org/home and click the “Donate” button, or call the Merola development office at (415) 936-2311. The Brian Asawa Memorial Fund will benefit incoming Merola Opera Program participants, with a particular preference given to countertenors. “Mr. Asawa was a much beloved international opera performer, known for his big personality and big heart,” a program spokesperson said.